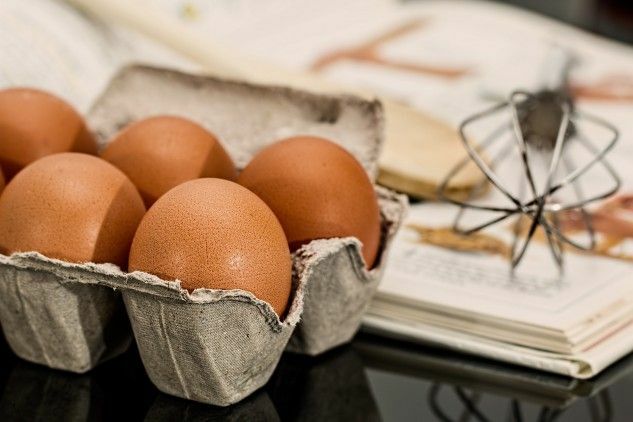 Looked down upon for many years because of its high levels of cholesterol, the egg is now making a comeback into the world of healthy foods. It’s being appreciated for its exceptional levels of high quality protein as well as several vitamins and minerals. It is, among other things, one of the rare food sources of vitamin D.
Recent scientific studies have shown, moreover, that the consumption of one egg a day, even among those with high blood cholesterol, is considered acceptable. Easy on the pocket, simple to prepare, nutritious and versatile, the egg should be showing up on our tables more often. Nowadays, in addition to fresh eggs, dried, liquid and frozen egg products (only whites, only yokes, whole eggs, various white and yoke blends) are also easily available in grocery stores. Egg whites (albumen) are especially popular among sportspersons who want to build their muscles through the consumption of protein. Originally published in the Journal de Montréal on November 28, 2009.